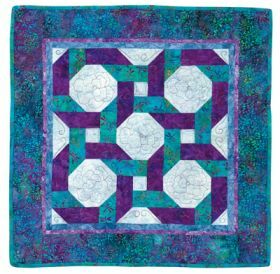 Create the illusion of beautiful interlocking loops with two super-simple traditional blocks: Snowball and Bright Hopes. 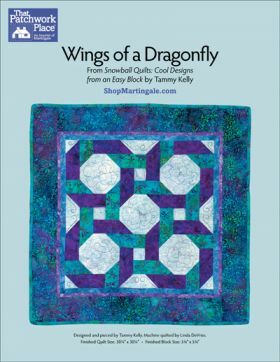 Use your finished design as a wall quilt or a table topper--it's so quick to sew, you can have it ready for display by the end of the day! Finished quilt: 30¼" x 30¼"
Tammy Kelly is a quilt designer, teacher, and author. She teaches quilting at regional quilt shops, quilt camps, and her local community college, and it is her desire to someday teach internationally. 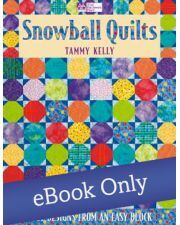 She has written several books, and her favorite quilting topic is color. 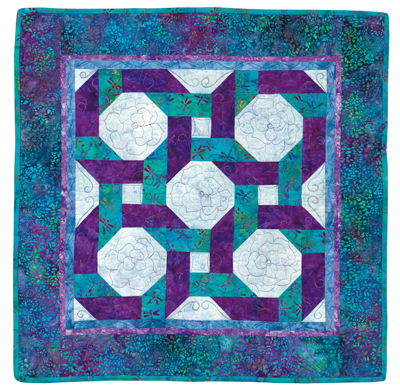 Many of her quilts have been published in American Patchwork and Quilting magazine and calendar. She launched her own pattern-design company, Common Threads, in 2002.